Number keys 1 and 2, AND Left Click for control. Project is mostly unfinished unfortunately. 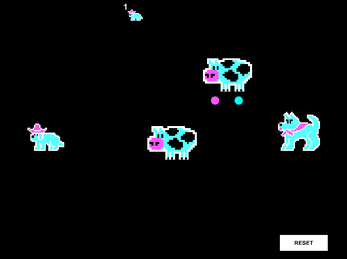 The game was meant to be a game about playing as two cowboy themed dogs, transporting cattle across the west. Turns out crowd/herd A.I. is really hard to program on your first try, especially when you only have less than a day to go.